Megan has been a food educator for over 12 years, teaching adults and children in community-based settings. 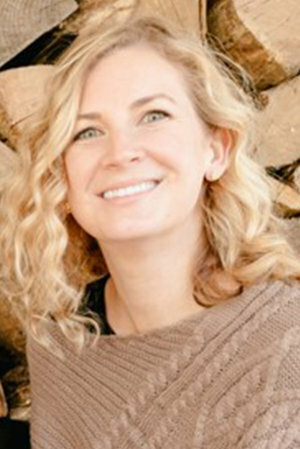 She believes that food education must meet people where they are in order to be effective, and that educating the entire family is essential to help kids become food-smart. Her areas of interest include: food history, food science, and food culture. Megan is an active member of PA Nutrition Education Network and is ServSafe certified. You can find Megan most days in front of the stove or in a grocery store, experimenting with new recipes. She loves to check out foreign supermarkets when she travels and is very dedicated to creating her own food-smart kid, a picky eating 8-year-old who would live on crackers if given the chance. "How Sweet It Is: A History of Sugar"
"Picky Eating and Play-based Learning"
2017 Annual Conference - "Nourishing the Future: Nutrition, Trends, Foods, and Beyond!" Sandy Lory is a marketing and communications consultant who helps organizations like Hungry find the right words for its story, recognizing that delivery and timing are just as key as the wording itself. She’s a curator – for messages – and analyzes, sifts, sorts and arranges the content to convey a succinct message that resonates with the audience. Sandy has honed the art of message curation after more than 15 years in corporate marketing and consultative settings in nearly every marketing discipline, from internal communications to advertising to public relations. Sandy has a bachelor’s degree in English Writing from the University of Pittsburgh and a master’s degree in Corporate Communication from Duquesne University. When Sandy is not in front of a computer at work, you’ll often find her planning new meals for her family or encouraging her six-year-old daughter to measure ingredients and cut vegetables for dinner. Sandy enjoys seeing her one-year-old daughter’s personality emerge with various foods presented, and helps her explore new foods even if they end up on the floor. (Watermelon made it from tray to mouth, but kiwi did not ... yet.) Sometimes, Sandy’s approach to picky eating is similar to how she approaches messaging – delivering food creatively and at the right time. When that doesn’t work, she keeps trying, and she’s seen some pleasant surprises. Jenn Bidwell Edwardson began cooking at a young age, learning from her grandmothers, mother and father, and every cookbook she could get her hands on. By high school she was sharing her pastries and cookies, breads and cupcakes with her neighbors. She has been equally drawn to educating children, first her own and for both employment and volunteering in her church. She currently teaches four year olds at a traditional play based learning nursery school and works with third through fifth graders at church. Jenn loves Hungry's play based, hands-on learning approach involving kids from a young age in their eating and cooking experiences. Jenn taught her own six children the love of good food and creating it for themselves. Now that they are grown she encourages them in their own journey as they explore new food experiences. She is now happily teaching her grandchildren to cook and bake. When she isn't in the kitchen Jenn can be found in her other happy space making cards, scrapbooks, monprints, art journals and mixed media art. She likes kayaking, walking and riding behind her husband as he explores on his motorcycle. Dan is an analyst, design thinker, and researcher. He studied economics at the University of Rochester and worked as a research analyst in healthcare consulting before relocating to his native Philadelphia and connecting with Hungry. He compliments his data-heavy background with experience in design thinking for social innovation as part of the DC Human Centered Design community. Before partnering with Hungry, Dan’s belief in experiential, student-driven education led him to volunteer as a 2nd grade reading tutor and teaching assistant for an elementary school gardening program. Dan loves to create, and his food pastimes mainly stem from curiosity and a DIY spirit: home-brewed beer, perfecting his from-scratch pie making, and frequent experiments with lacto-fermentation. Connor grew up surrounded by food. When he was young, his entire family worked in a local fine dining restaurant. There, he got his first taste of his future. Whether it was chicken kiev, roasted brussel sprouts, or duck l'orange, Connor was constantly pushed to try new and exciting foods. These experiences shaped the way he saw the world. His curiosity about food now fuels his passion to create experiences that inspire the way people connect over cuisines. 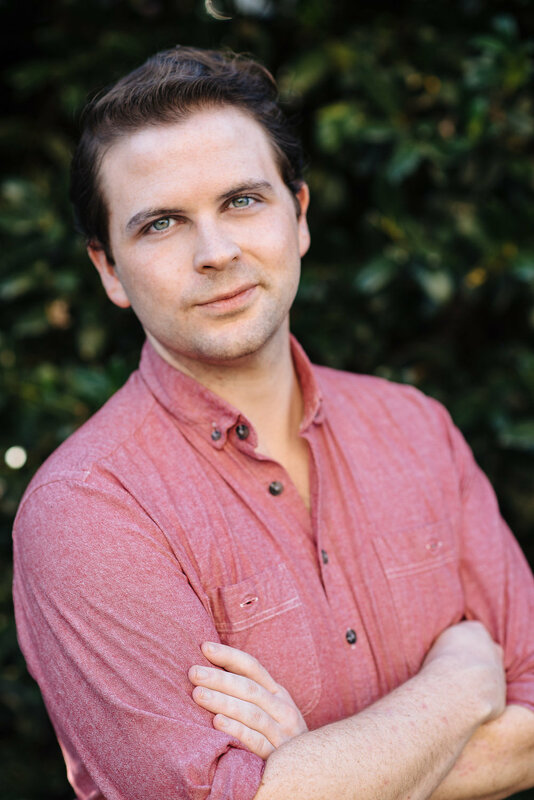 Connor Hogan is a creative with six years of experience in brand, content, and experience strategy. He partners with his client to uncovers their stories and express those stories through dynamic mediums that reflect their people, their personality and their mission. 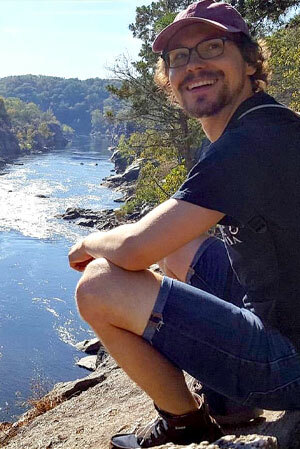 He graduated from the College of William and Mary in 2010 with degrees in Theatre, and Russian and Slavic Studies. Marisa is an early childhood teacher with a passion for play and inquiry-based learning. She believes deeply that children learn powerfully through hands-on exploration, storytelling, and play; experiences that honor their individual identities and invite them to ask questions and explore possibilities. After completing her B.A. in identity development and children’s literature at the University of Massachusetts Amherst, she moved to Philadelphia and earned a M.S. Ed. in Reading/Writing/Literacy from the University of Pennsylvania. Her graduate thesis explored the intersections between literacy and play as well as ways to construct the learning environment to enhance learning through play. Her other interests include emergent curriculum, the Reggio Emilia approach to early childhood education, and children’s literature. For the past eight years she has worked as a nursery classroom teacher, and she currently teaches at The Miquon School. Outside of the classroom Marisa loves to create, whether its testing out a new recipe for banana bread or figuring out how to sew shorts for her husband out of recycled sweaters. She is fascinated by the process of inviting her one-year-old daughter into the world of food and taste, and loves observing the surprising food combinations that speak to her (sheep’s milk feta and PB&J, anyone?). Sulaiha Olatunji (PplFood) is a community chef and educator who promotes people-centered food. She received a B.A. from Mt. Holyoke College in Anthropology & Education and a M.Ed in Education, Leadership & Policy Studies from Temple University with a focus on school-community partnerships. Sulaiha worked in community service and experiential learning programs in both elementary and high schools before deciding to pursue cooking and food education full time in 2013. She gained professional kitchen skills as a sous chef for a meal delivery service and also completed the Just Food Community Chef Facilitator Training at the Philadelphia Free Library Culinary Literacy Center. Sulaiha is ServSafe certified. She does weekly meal prep for clients in the Philadelphia area, with an emphasis on co-creating nourishing meal plans that honor the client’s food journey and traditions. Sulaiha also facilitates hands-on cooking workshops and is the resident chef for the Philly Pigeon Poetry collective’s annual writing retreat. In 2017, she was a collaborator on the Philadelphia Assembled Kitchen--a food and storytelling project that was part of a 3 month exhibition held at the Philadelphia Museum of Art Perelman building. Sulaiha believes that storytelling and knowledge-sharing is one powerful way of contributing to food sovereignty and justice movements. Actively challenging dominant food narratives, which are reflective of a historical imbalance of power of race, gender, and class, provides an opportunity to positively impact our planet’s health and well-being. Cooking with and for people is how Sulaiha shows her love and breaking bread with others is where she finds her greatest joy. She is excited to bring this spirit of PplFood to her collaborations with Hungry Education. Encouraged by her mother’s fearless adventures in the kitchen, Maigan picked up her love of food and passion for cooking at a young age. She received her B.S. from St. Joseph’s University and afterwards went on to Johnson & Wales University in Charlotte, NC where she completed her Associates Degree in Pastry Arts. She also had the experience of a lifetime studying pastry abroad in France for a few months. Over the past 8 years, Maigan has been working in the food industry with roles at local companies as well as her own company MoJo’s Pop Co., a toffee popcorn business. A year after the birth of her son, Maigan made the difficult decision to step away from her business. Luckily she discovered Hungry and was excited to get involved. When she’s not teaching Pre-C classes, you can find Maigan exploring Philadelphia with her busy toddler. She also enjoys traveling, experimenting in the kitchen, and eating her way around the city.